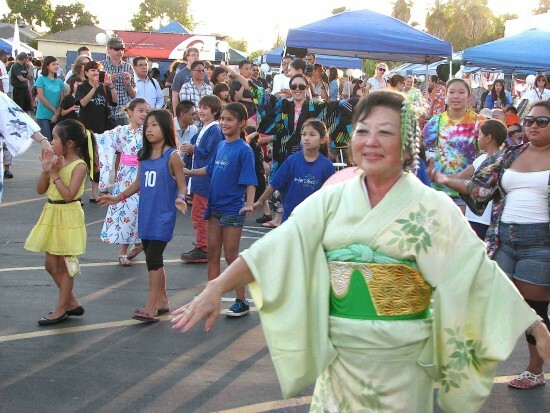 NORWALK — Hidden at the end of a cul-de-sac near little Gerdes Park, a little community gem, the Southeast Japanese School and Community Center, will celebrate its 52nd annual Cultural Festival on July 25 and 26. Where else can you see the ancient arts of kendo, judo and karate next to an elegant and unique ikebana arrangement and stylistic taiko drumming? “We have something to offer for everyone,” stated Richard Shinomoto, SEJSCC president. If you like to sing, you can show your talent at the karaoke session. Want to try your luck at bingo? Games start at 5 p.m. and everyone has a chance to win. Obon dancing starts at 6 p.m. Just follow the person in front of you and you can’t go wrong. Everyone’s favorite is the Japanese comfort food — Spam musubi, fresh, crackling corn from the farm, crispy, crunchy wonton, and cool shaved flavored ice. Master chef Johnson Chang will be doing an amazing orange chicken that will make you drool. For the kids, there are fun games and prizes at prices parents can afford. No unsavory carnies here — just good family fun. This year they will have a jumper and slide and … to find out more, you just have to come and find out. From 3 to 9 p.m. on Saturday and 2 to 8 p.m. on Sunday, 14615 S. Gridley Rd. in Norwalk is the place to be. For more information, call (562) 863-5996 or visit www.sejscc.org. Saturday, July 25 — E Mele Hana and karate demonstration at 3:30 p.m.; kendo demonstration at 4 p.m.; karaoke at 4:30 p.m.; bingo begins at 5 p.m.; Hikari Taiko at 6 p.m.; ondo at 7 p.m.
Sunday, July 26 — Hawaiian Delites at 2:15 p.m.; Maika’i Jammers at 3 p.m.; Gakuen students at 3:30 p.m.; Na Wahine ‘O Kawena and judo demonstration at 4 p.m.; karaoke at 4:30 p.m.; bingo begins at 5 p.m.; Hikari taiko at 5:30 p.m.; ondo at 6:30 p.m.; raffle drawing at 7:30 p.m.